Follow this step-by-step polymer clay tutorial to learn how to work with polymer clay, metal leaf, alcohol inks, and wire. We will be making a pair of original polymer clay earrings with shining leaf design and hand-made earring findings (open leaf-shaped links). 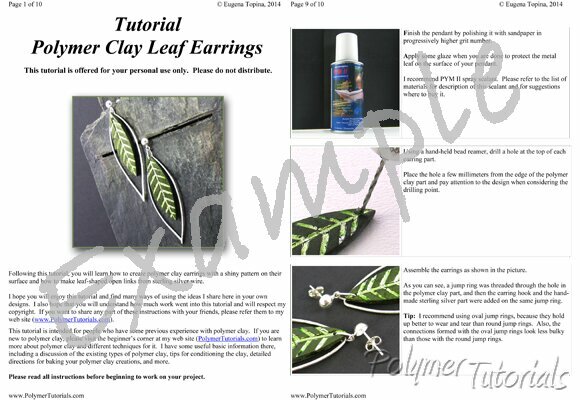 It is a good starting project for novice polymer clay artists. You do not even need a pasta machine, and I will show you how to form the wire links without an anvil.